Catalina 25 Review – Which Sailboat? The Catalina 25 is a good racer/cruiser for inland and coastal waters available on the used market at very affordable prices. 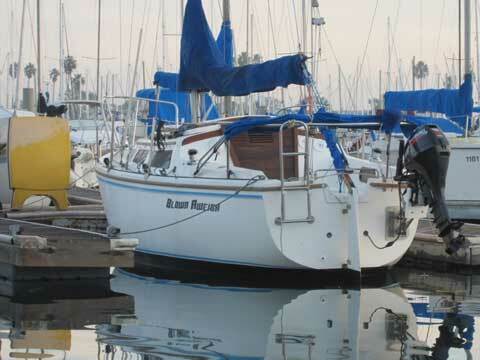 This sailboat benefits from a large user base, active owner’s forum, and easy availability of spare parts. Designed by Frank Butler of Catalina Yachts in Hollywood, CA, over 6,000 Catalina 25s were built from 1976 through 1990, and all in the U.S. She is designed as an inland and coastal racer/cruiser within budgetary reach of any American. She is well suited to her purpose in terms of design and build quality although some owners have sailed their Catalina 25s through the Caribbean (like this fellow), to South America, and even to Hawaii. The Catalina 25 was one of the most successful and longest running production boats ever built, and continues to have a strong following and interest. The standard rig with swing keel configuration is the most popular. The Catalina 25 has a huge user base, a very active owners’ association with racing, and a plethora of information available about maintenance on their forum (located here). Unlike many builders of used sailboats on the market today, Catalina has remained in business and continues to manufacture and source parts for the Catalina 25. Catalina owners benefit from Catalina Direct, which makes buying many Catalina 25 specific parts very convenient. As an aside, note that Catalina Direct is a dealer for Catalina Yachts and is not run by Catalina, the manufacturer. Many owners of the Catalina 25 report that the plethora of information available on their very active owners forum and the multitude of users eager to help, that the manufacturer was still in business, and that spare parts were readily available, were key points influencing their decision to purchase a used Catalina 25. 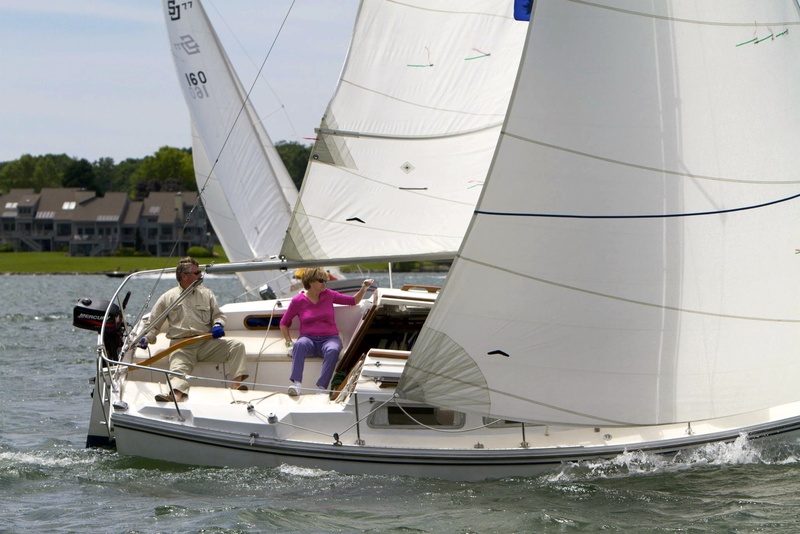 The Catalina 25 is a masthead sloop with a modern but conservative design, resulting in a boat that continues to have a relatively modern appearance. She has a modern canoe underbody and broad transom. With a waterline length of 22’2”, her length on deck to waterline ratio is equally modern. Other design elements include a traditional sheer line, a slightly raked bow, a plumb stem with stern hung rudder, and the standard well-known Catalina cabin trunk and port configuration. Like other Catalina sailboats built during this time, the earlier aluminum trimmed salon ports were later updated to smoked plexiglass. Construction quality is good for the Catalina 25’s intended purpose as a racer/cruiser in protected and coastal waters. The hull is constructed of solid fiberglass and the deck is wood cored. No reports of oil-canning, hull flexing, or other structural problems exist for the Catalina 25. The deck is joined to the hull by a shoebox-type flange, sealed with polyester putty, and mechanically connected with self-tapping screws or through-bolts. The interior is a liner set into the boat before the deck is installed, which is a standard for Catalina and other production builders in the industry. Although liners reduce access to the inside of the hull, Catalina 25 owners report it is of little consequence on a boat this size as most areas can be accessed by some angle or another. Minor blistering was an issue on some earlier Catalina 25s, but not all. Due to the long production run and improvement of fiberglass technology during this time, blistering issues were reduced in each successive year, and were nearly non-existent by the end of the run. 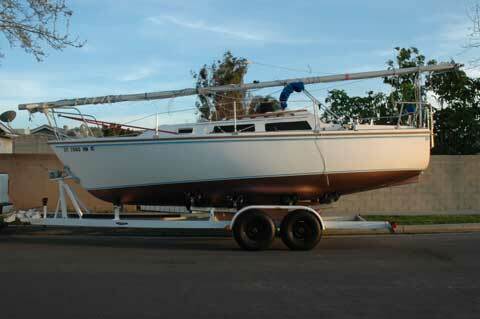 A 1987 Catalina 25 hauled after years of neglect and very few blisters were present. 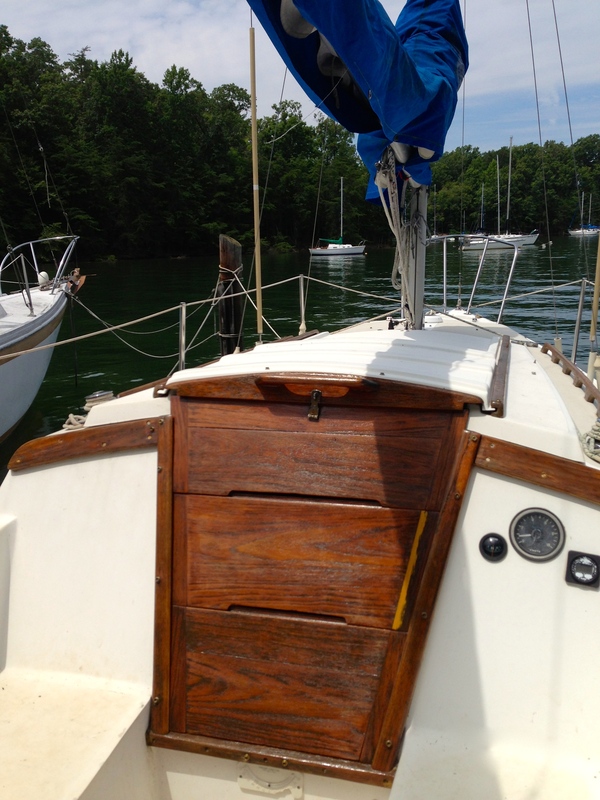 Despite the wood coring, soft decks are not a common problem on Catalina 25s. Catalina 25s rarely have core rot after years of neglect. The mast is deck stepped on a stainless steel tabernacle with a keel-stepped wooden compression post. The tabernacle allows the mast to be raised and lowered, which owners report takes about five minutes after learning how. The mast has one set of spreaders and is supported by three sets of shrouds, two sets of lowers and one set of uppers. Catalina 25s were rigged with high quality stainless steel. Jib car tracks are outboard, but due to the relatively narrow side decks, this likely does not compromise sheeting angles significantly and makes going forward easier. Catalina offered some variation in rigging. A standard rig and a tall rig were offered. To provide increased sail area, the tall rig mast is approximately two feet taller than the standard and the boom is attached to the mast approximately one foot lower than the standard. Some Catalina 25s came from the factory with internal halyards while others are external. 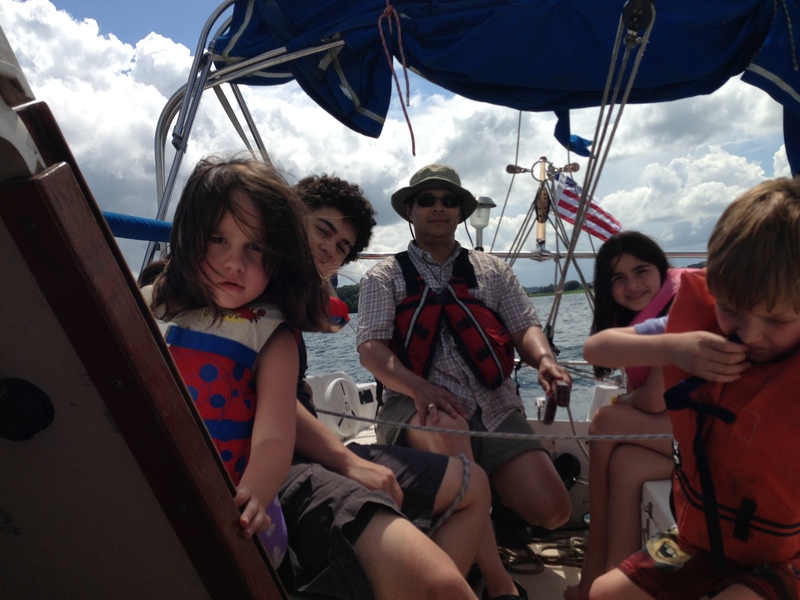 Some came with an adjustable backstay while others did not. Some lacked a boom vang. All came with hank on foresails although many owners have retrofitted roller-furling systems. Early Catalina 25s appear to have lacked backing plates for deck hardware while later boats came from the factory with backing plates installed. Either way, most owners of earlier Catalina 25s have installed backing plates where they were lacking. All running and standing rigging components continue to be available from Catalina Direct. 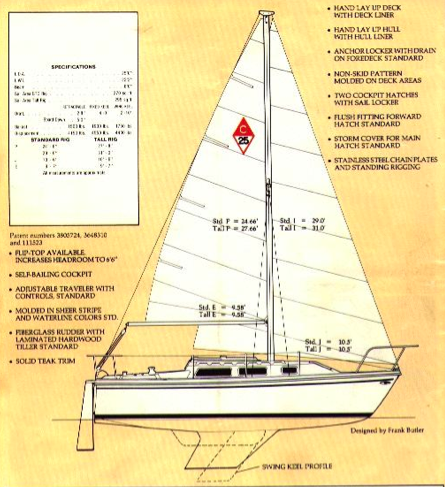 The Catalina 25 came in three keel configurations, initially a swing or fin keel, and later a shoal draft wing keel that replaced the swing keel model. The keel bolts on the fin keel were not originally stainless steel and were prone to rusting, but stainless steel was used in later models. The fin is a relatively modern fin type design, deep but not too long, drawing 4’, connected to the hull by five bolts, and providing a very respectable ballast-to-displacement ratio of 41%. Although not as short or deep (high aspect) as more modern designs, the longer design (lower aspect) permits a stronger connection to the hull that better withstands groundings and other stresses unlike more aggressive high aspect designs. The fin keel was originally cast iron, but in the early 1980s the design was improved so that the core of the fin was cast iron, which was then encased in lead, and then encased in fiberglass. 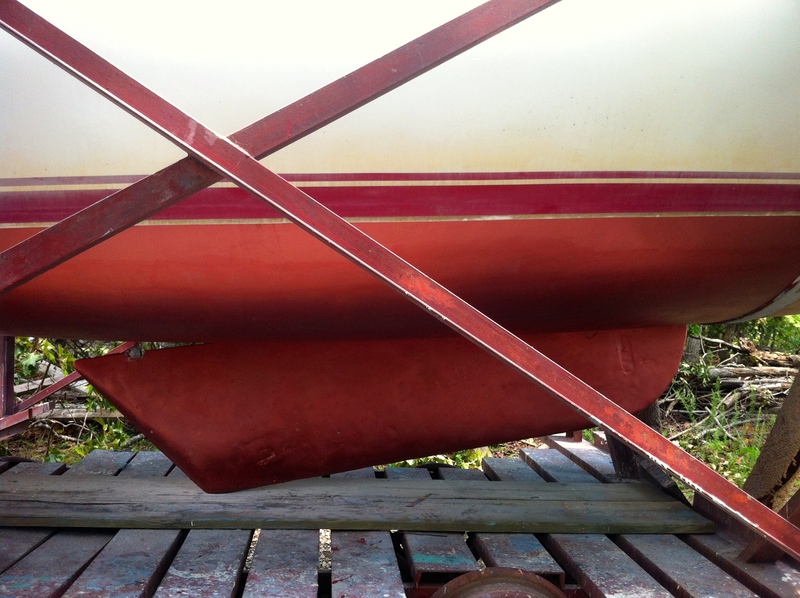 Earlier boats with cast iron keels should have protective anodes installed if not already done. Many owners have encased their cast iron keels in barrier paints to stave off rust, which efforts appear to be largely successful. The wing keel is roughly as long as the fin, but reduces draft to 2’10” and gives a very respectable ballast-to-displacement ratio of 40%. Fin-to-wing keel conversion kits are no longer manufactured but continue to be available on occasion. Some stiffness is lost when converting to a wing keel. The swing keel model deserves a separate discussion. Ballasted swing keels have been relatively rare designs, especially as their contribution to the overall ballast of the boat increases. However, a dedicated following for ballasted swing keel performance cruisers continues to enjoy the boats built by Southerly Yachts in England for the premium blue-water boat market. Also, Jeanneau Shipyard in France has just launched a ballasted swing keel in their Sun Odyssey line which may indicate a return in interest to the advantages of a ballasted swing keel boat. On the Catalina 25, the swing keel is cast iron, and pivots from a down position to an aft-and-up position on a 1” diameter cast bronze rod hung between stout cast bronze hangers mounted to the underside of the hull. When down, the keel provides a 5’ draft, which is deep for a boat of this size. The keel weighs three quarters of a ton and serves as all of the ballast for the boat, giving these models a modern ballast ratio of 36%. The heavy weight of the keel prevents many of the annoying banging noises associated with unballasted swing keels. The keel can be raised by way of a simple and reliable manual winch system located below the companionway steps. Little effort is required to operate the winch. When the keel is fully raised to its horizontal position, the Catalina 25 has a draft of only 2’8”, which is of course handy for gunkholing or if the water gets shallow when exploring. 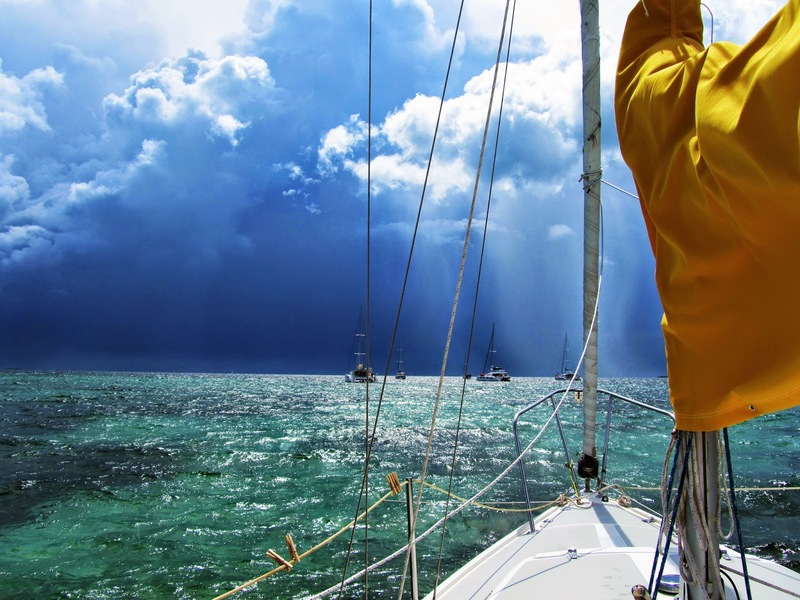 In the event of a grounding, the keel gently swings back and away rather than getting damaged or causing damage to the hull as can happen with fixed keels. When the swing keel on the Catalina 25 is fully lowered, the keel orientation is high aspect and has a symmetrical foil shape, similar to modern race boats, so that the boat points to weather extremely well and tacks on a dime. When completely raised, only a small part of the keel is enveloped in the hull, with the rest protruding. So therefore when the keel is fully raised, the keel orientation is very low aspect, essentially a full keel configuration, enabling the boat to track well with little helm attention, even when sailing downwind. Catalina recommends that Catalina 25 swing keel hardware be inspected every two years if in a salt water environment, and allows for longer if in fresh water. However, some owners in fresh water environments report never inspecting their swing keels after thirty years of use and have no problems. Catalina also recommended a retrofit be performed on earlier Catalina 25s to reduce the side-to-side movement of the keel along the pin, which could cause the keel to wear through the pin. If not already done, owners should perform or have this retrofit performed and a kit is available from Catalina Direct. Despite the swing keels being cast iron, Catalina did not typically install a sacrificial anode on Catalina 25s at the factory. 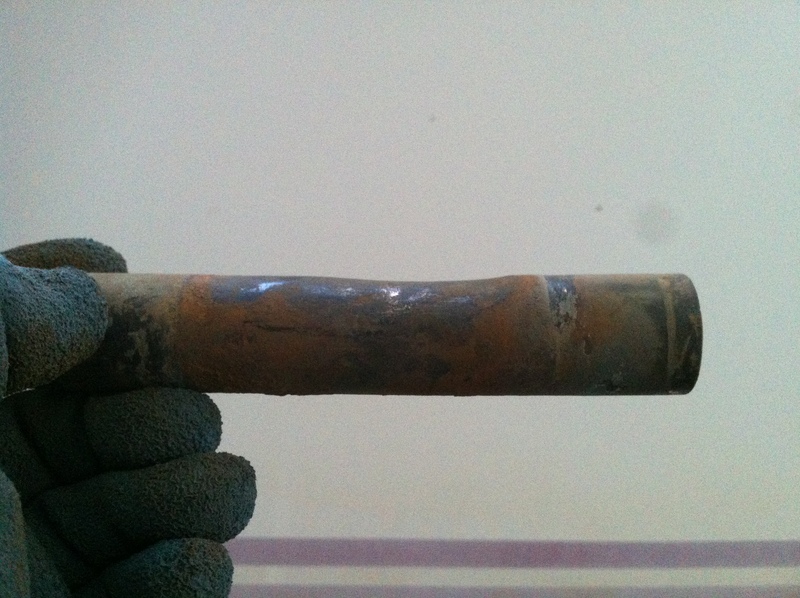 Catalina 25s should have a sacrificial anode installed, especially if in salt water, although owners of fresh water boats without sacrificial anodes have reported little corrosion. Sacrificial anode kits, including the drill bit necessary to go through the cast iron, are available from Catalina Direct. Interestingly, the swing keels themselves were cast in Mexico and shipped to Catalina. Some keels have the word “MEXICO” cast into their side, which is not usually apparent if the keel has been faired. The Catalina 25 came with a transom hung unbalanced spade rudder. The rudder draws 2’10” so that it is somewhat protected by the keel, even the swing keel when raised fully. The unbalanced rudder can require some effort if sail trim is not correct, or when racing or in rough weather. Some Catalina 25 owners have upgraded to a balanced rudder, which they report enables steering with just one finger. Balanced rudders are available from Catalina Direct. 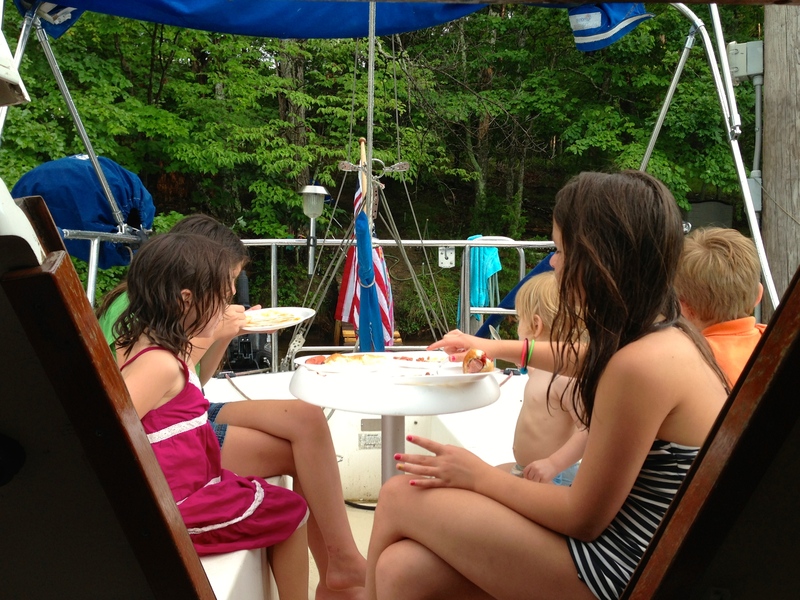 All three keel configurations sail well on any point of sail and owners consistently refer to the boat as “forgiving”. Catalina 25 owners disagree as to whether the fin keel or the swing keel point to weather better. Racing ratings indicate that the fin is the best performer with the swing keel close behind. 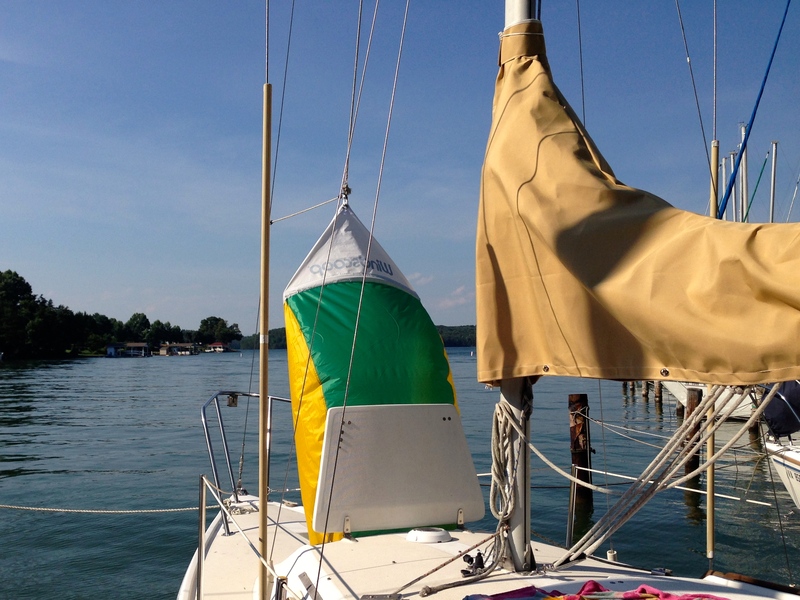 The masthead sloop configuration means a headsail is required for best performance. With both the approximately 16:1 sail-area-to-displacement ratio of the standard rig and the approximately 17.75:1 ratio of the tall rig, in either configuration the Catalina 25 easily achieves hull speed in anything but the lightest of airs. The relatively flat canoe body and beam carried aft cause Catalina 25s to have good initial stability. The 36-41% ballast-to-displacement ratios mean Catalina 25s are stiff, and if knocked down, quickly right themselves. The swing keel configuration is the stiffest, followed by the fin keel, and then the wing keel. Many Catalina 25 owners report preferring to reef when winds reach above 15 knots. The original mainsail provided by Catalina is a little baggier, even when new, than many sailors would prefer. This was reportedly done intentionally by Catalina to improve Catalina 25 downwind performance to the slight detriment of windward performance. Most Catalina 25s are powered by an outboard motor on an adjustable mount. Most Catalina 25 owners prefer a motor close to 10hp, which easily drives the boat at hull speed, even in rough conditions. Some owners report 6hp is sufficient in calm waters. A long shaft outboard with a shaft length of at least 25″ is preferred to keep the prop in the water in rough conditions. Roughly 150 Catalina 25s were delivered from the factory with an inboard diesel, which was located behind the companionway steps beneath the cockpit sole. 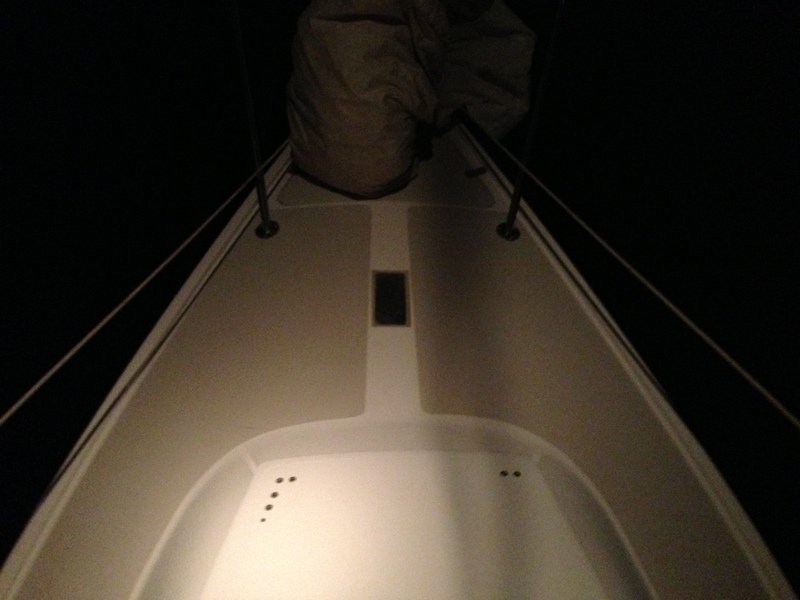 Engine access for the inboards is expectedly cramped, but decent from the quarter berth and the companionway steps. A few Catalina 25s appear to have factory-installed sail drives, or perhaps undocumented refits to sail drives by previous owners. Catalina 25 owners who are active in racing prefer the outboard motor because the increase in PHRF rating, which is not always given by a race committee, is not typically enough to offset the drag caused by the inboard’s prop. Outboard motor mount kits for owners upgrading 2 stroke motors to heavier 4 stroke motors are available from Catalina Direct. A pop-up cabin top was an option on early models and later became standard. The pop-top is another interesting Catalina 25 feature that deserves its own discussion. The pop-top raises head room in the salon to 6’4″, improves ventilation mightily, and enables a 360 degree view of the outside of the boat while standing below. The Catalina 25 can be sailed with the pop-top up, but only in light airs because it requires disconnection of the boom vang. Some Catalina 25 owners report raising the pop-top partially so that they have standing head room below but have protection from rain. An optional pop-top tent allowed the pop-top to remain up while keeping the salon protected from the elements. However, the pop-top does introduce an element of risk if the boat were turtled, but a boat designed for inland and coastal waters is not likely to see conditions that would cause turtling. If one intended to take the boat beyond coastal cruising, a model without a pop-top may be preferable. Fit and finish of the Catalina 25 is not luxurious but is better than expected at this price-point. Wood trim is solid teak and bulkheads are teak-veneered marine grade plywood. Accommodations are typical but very good for a boat of this size due to its moderate freeboard and beam carried well aft. The original Catalina 25 marketing materials indicate the boat sleeps five, although one owner reported regularly sleeping with his wife and five children on the boat, as well as two guests on one occasion. The accommodations should be acceptable for any average-sized couple or typical family. The Catalina 25 cabin sole is the pan liner and has a respectable wood-like look modeled into it, patterned after a teak and holly sole. 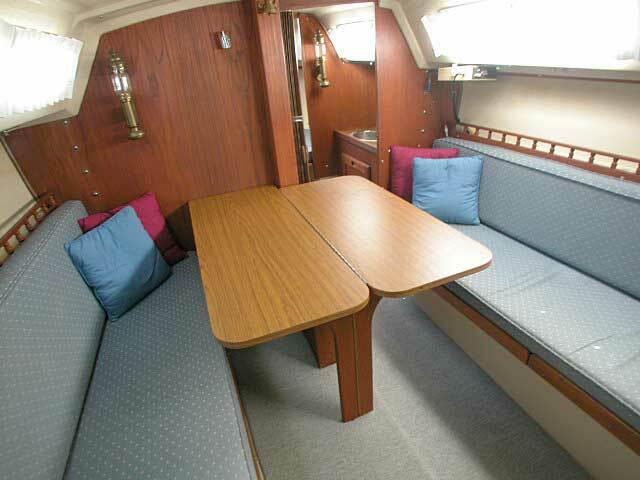 The settee and berth cushions are 3” foam, which some owners have upgraded to 4”. The original cushion covers vary from the what would now be considered hideous, patterns of the late 1970s and early 1980s, to the more acceptable patterns of the late 1980s and 1990s. The ceilings have an unobtrusive pattern molded into the fiberglass. No pattern is molded into the sides of the hull. All lights installed in Catalina 25 by the factory were an inexpensive grade product designed for the RV industry rather than marine use. Many of these lights are still in use on Catalina 25s, but many owners have replaced these lights with marine grade equipment, in part because their domes were prone to crack and because replacement domes are no longer available. Several options for direct fit Catalina 25 replacements are available from Catalina Direct. Forward is the v-berth, which has the typical central insert so that either more maneuvering room or more bed space can be had. This berth can sleep two average-height adults. One Catalina 25 owner reports having three children sleep here comfortably. Catalina installed one light on the port side. Fresh air is provided by the large opening hatch, which can be tightened in place partially opened to enable air flow but prevent young children from wandering about on deck unsupervised. Additional natural light is provided by a port light just aft of the anchor locker. A huge space beneath the v-berth is accessible from hatches beneath the cushions and in some boats, a door in the bulkhead supporting the aft end of the berths. 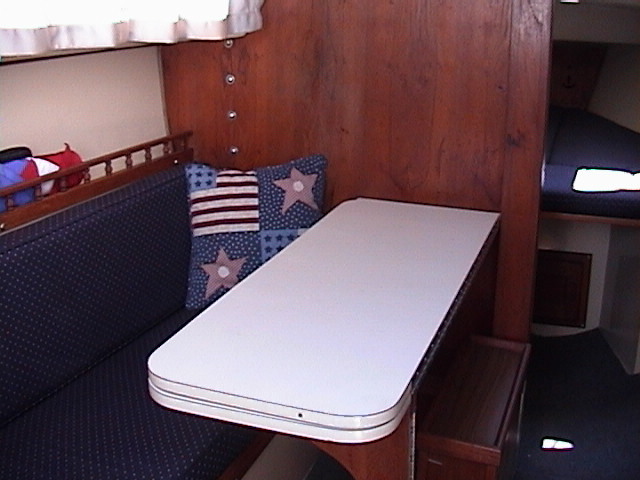 Some boats also came with a shelf in the bulkhead supporting the port side of the v-berth. 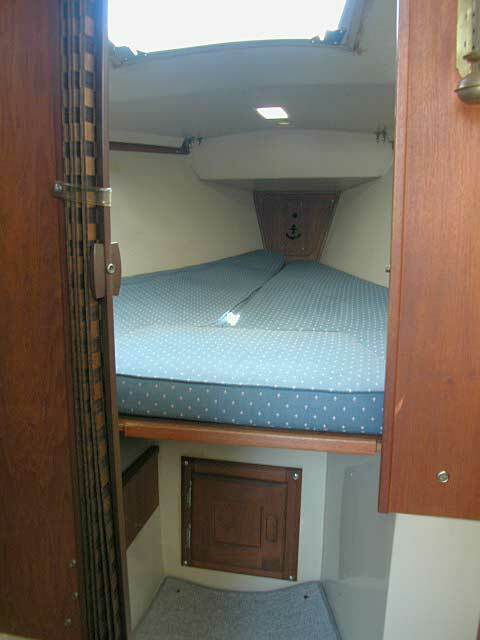 Many Catalina 25 owners use the space below the v-berth for storage or additional systems or tanks. Immediately aft of the v-berth is the head. Some Catalina 25s came from the factory with an accordion door fitted between the v-berth and the head. Other Catalina 25s have been retrofitted with this additional privacy feature by owners. The head does not afford standing room but is comfortable for sitting so that a shower is not a good upgrade (although some owners install cockpit showers). Catalina 25 heads came in varied configurations, with a portable toilet or real marine head to port, and a sink or locker to starboard. There is a platform on which both toilets would sit, which elevates a portable toilet to a comfortable height and enables easy access to the plumbing of a marine toilet, making maintenance of the marine toilet or conversion from a portable to a marine toilet straightforward. Most Catalina 25s had a large deep shelf along the inside of the port side of the hull behind the toilet and some had hanging storage above the shelf. If the sink was fitted, Catalina installed a light, a Whale flipper-type faucet for cold water only, an opening cabinet below the sink, and typically a shelf above the sink along the inside of the starboard hull. Thankfully, Catalina changed the port lights on each side of the head to a version that opens, both of which are fitted with bug screens. Catalina 25 owners report that with the v-berth hatch and both ports open, there is excellent ventilation when performing necessary business. 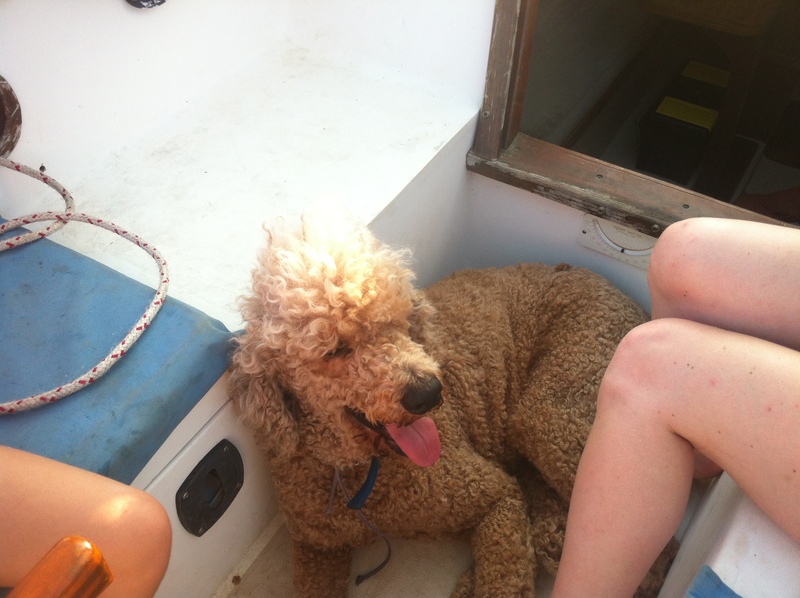 Owners also report that due to the angle at which the port and starboard ports are situated, water can collect in them. Although leaking is not typically an issue and replacement gaskets are readily available from Catalina Direct, water can splash down into the head if these ports are opened after a recent rain. 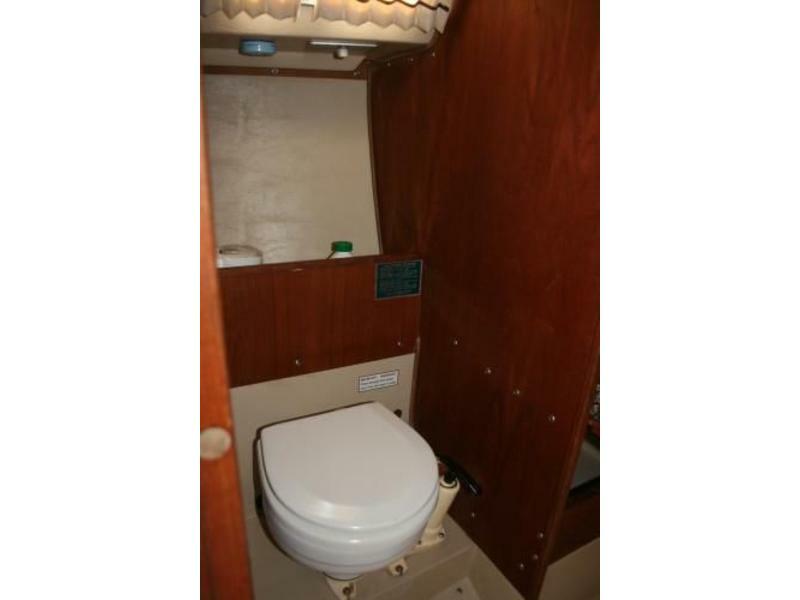 Parts for the plumbing and marine toilet are available from Catalina Direct, including everything needed to install a marine toilet with holding tank in a Catalina 25 previously without one. Aft of the head is the main salon, if a Catalina 25 could be said to have a main salon. Almost all Catalina 25s came from the factory with an accordion door fitted between the head and the salon. There is standing headroom in the salon for below average-height adults, and for anyone shorter than 6’4” on pop-top models with the pop-top raised. Newer Catalina 25s had the cabin sole lowered a few inches, increasing headroom. The salon area came in three configurations, one traditional-type with a settee to port and starboard and a fold-down drop-leaf table, and the two other dinette-type configurations with a dinette to port and a settee to starboard. All three interior configurations have a galley area in the aft and port corner of the salon. All three configurations have a starboard settee running the full length of the salon with a shelf built into the side of the hull behind the back of the settee, which is long enough to double as a berth for an average sized adult. The fresh water tank is located forward beneath this settee and the dual battery box is located beneath the aft end. On the traditional layout model, the port settee and shelf behind built into the hull are a little shorter than the starboard settee, to enable space for the galley area. This settee can double as a berth for a child, teen, or person of below average height. The drop-leaf table can mount to the forward bulkhead when not in use, freeing up space in the salon. Many Catalina 25 owners report leaving the table down but with the leaf closed which enables passage fore and aft on the starboard side of the salon while leaving a convenient table for one or two on the port side. Owners also report that a Catalina 25 specific retrofit offered by Catalina Direct is required to keep the table from tipping over when used in this manner. There is a difference amongst the dinette models in that some had the older fore-and-aft seating arrangement while others had a more modern L-shaped arrangement. In both cases the table lowered to create an additional berth. 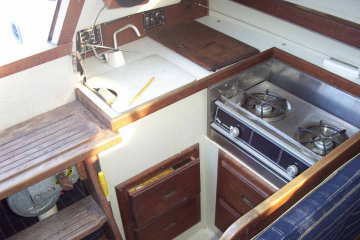 Both the more traditional dinette and L-shaped configuration also benefited from having a shelf built into the inside of the port hull like with the traditional interior layout. In all configurations, the black water holding tank is located beneath the port settee or dinette seat. Catalina typically installed one light above each shelf along the hull. Some Catalina 25 owners have cut holes into the backs of the settees to create additional storage space. Swing keel models with the traditional layout have a narrow wooden box about one foot long at the fore end of the salon which houses the keel trunk, and which most owners report using as a coffee table. In swing keel models with the dinette interior, the keel trunk is concealed beneath the forward dinette seat. There are bilge access hatches in the cabin sole. The Catalina 25 galley area has slightly more head room than the rest of the salon due to the cabin sole being lower there than elsewhere so that an average height male can nearly stand up. Catalina 25s came from the factory with a two burner pressurized alcohol stove dubbed by owner’s as the “curtain burner”. Most alcohol stoves have been replaced with a newer and safer appliance. The space allotted for the stove is outboard to port and large enough to support a gimbaled multi-burner range and oven, or a medium sized microwave oven. Aft of that space is the ice box, roughly 5 gallons in size, and which can keep a 10lb bag of ice for two days. Some Catalina 25 owners have upgraded the insulation around the icebox or installed refrigeration kits. Inboard of the icebox is a single sink. On all Catalina 25s, the factory installed a light above the ice box, and Whale flipper type faucets for cold water only. Some owners have upgraded to pressurized and hot and cold water. Replacement parts for galley equipment and all interior plumbing are available from Catalina Direct. Aft of the sink on the bulkhead is the fuse panel, switches, and battery selector. Accessing the wiring to this panel is relatively easy through the lazarette. Some Catalina 25s were equipped with shore power from the factory, and if so, the alternating current switch is typically located here as well. Shore power is another popular upgrade by Catalina 25 owners, with kits available from Catalina Direct. Replacement electrical components are available from Catalina Direct. 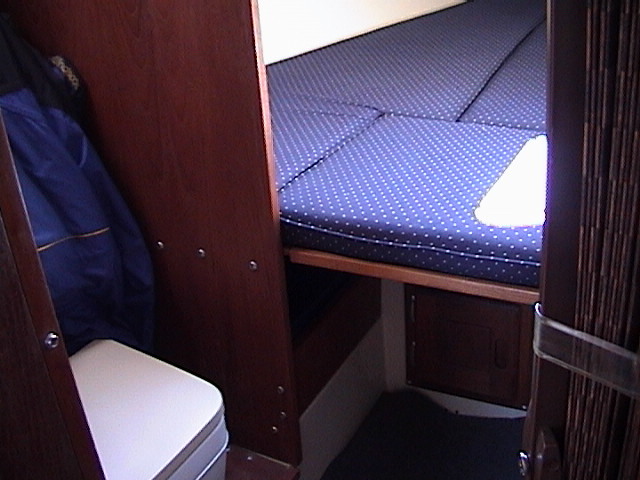 Aft of the starboard settee is the quarter berth. This berth is long enough to sleep even the tallest adult. If the boat is equipped with an outboard, then there is extra space to stretch out where the inboard motor would otherwise be located. Many Catalina 25 owners use this space for storing long items, such as boat hooks, spinnaker poles, tents, etc. 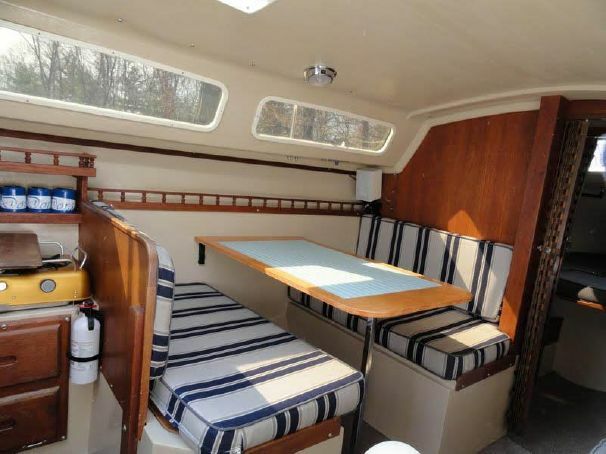 At the aft end of the quarter berth is a self built into the transom. There is also a transom inspection port near there. Catalina installed a light above the forward end of the quarter berth. Ventilation is extremely good on the Catalina 25 due to the already discussed opening hatch and ports, and is especially good with the pop-top cabin models. However, even owners without the pop-top models report being able to sleep in comfort, even in warm climates, by using a Windscoop in the hatch in the v-berth, or by running a box fan in the hatch in the v-berth, both of which can funnel air through the entire boat. Some Catalina 25 owners report an additional box fan is necessary in the hatch way to improve the funnel effect, especially in the aft quarter berth. Other owners have installed marine air conditioning, while others have installed simple inexpensive household window air conditioners in the bulkhead between the aft quarter berth and the lazarette – they open the lazarette when running this setup in order to circulate air to the air conditioner, and the air conditioner’s condenser simply drips into the lazarette and into the bilge. Many Catalina 25 owners have installed solar-powered ventilation fans in the v-berth hatch or in the head to ventilate the boat when not in use. Up the four steps from the salon through the large companionway is the Catalina 25 cockpit. 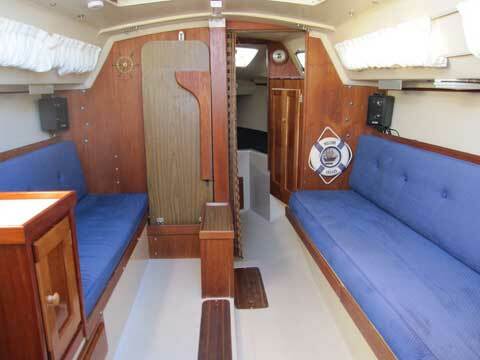 For an inshore boat, the large companionway is nice. The relatively large companionway makes it possible for someone to stand in the salon and be connected to the goings on in the cockpit, and provides additional light and ventilation to the salon. 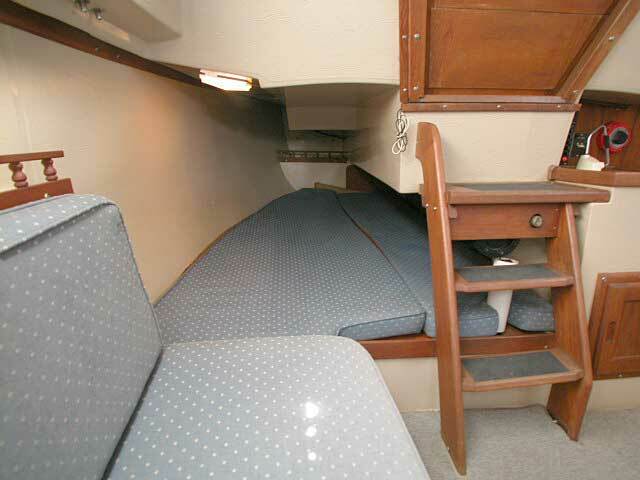 At the base of the companionway is a respectably sized bridge deck to prevent down flooding into the salon. 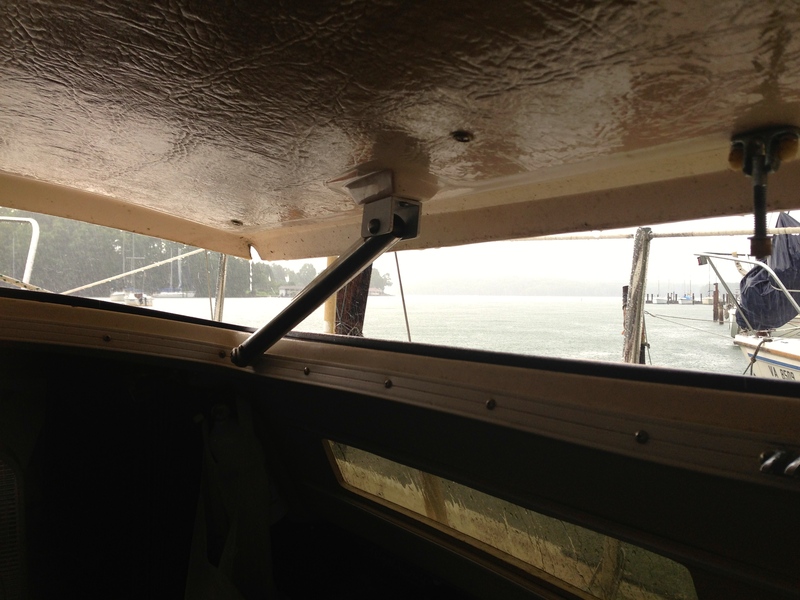 Catalina 25 owners report that the rake of the companionway can enable rainwater to leak onto the companionway steps and the salon sole. Many have canvas or other covers over the hatch boards when away from their boats or during rain. The cockpit of the Catalina 25 is large for a boat this size. Six can sit comfortably in the cockpit and eight can squeeze in. The benches are comfortably broad with decent backrest coamings. The coamings are wide enough to install additional cleats and winches, cup-holders, and bimini covers or cockpit awnings. A bimini kit specific to the Catalina 25 is available from Catalina Direct. Many Catalina 25s came from the factory with open cubbies installed in the coamings and many owners have installed cockpit stereo speakers. A retrofit is available from Catalina Direct for Catalina 25s without these cubbies. The benches are long and wide enough for an adult to sleep comfortably under the stars. The rake of the cabin trunk at the forward end of the benches makes for a comfortable backrest when lounging. Cockpit cushions are available from Catalina Direct as well as other suppliers. For safety, the Catalina 25 cockpit is self-bailing. Early models had the scupper drains in a horizontal position in the cockpit sole, which as in other boats were prone to clogging with leaves and other debris. Later Catalina 25s were updated with drains oriented vertically in the transom at the level of the cockpit sole, which do not clog. A stainless steel rail surrounds the cockpit. Lifelines extend forward of the rails. The lines open on either side at the forward end of the cockpit. A stainless steel swim ladder hangs from the stern, and can be lifted out of the water when not in use. All Catalina 25s came with a tiller, and the cockpit is setup well for tiller use with two benches that run the length of the cockpit. Racers will appreciate the feedback of the tiller steering, but some more cruising oriented Catalina 25 owners have retrofitted wheel steering with relative ease due to the short distance from the cockpit to the rudder and easy access to necessary spaces beneath the cockpit. The tiller on most Catalina 25s can be raised out of the way when not sailing, although some boats came with two bolts connecting the tiller to the rudder, in which case most of those owners simply removed one of the bolts so that the tiller could still pivot up and out of the way. Replacement tillers specific to the Catalina 25 are available from Catalina Direct. Most Catalina 25s have their halyard winches at the aft end of the cabin top, which cannot be reached by the helmsman without a tiller extension, but which are well situated for crew to operate. Some earlier boats had their halyard winches mounted to the mast, although many owners have reconfigured their boats so that all lines lead aft. Many owners have fitted the Tiller Tamer available from Catalina Direct, which allows them to leave the tiller unattended while moving forward. Not all Catalina 25s have Jib sheet winches but if they are installed, are typically found on the cockpit coamings within very easy reach of the helmsman. The mainsheet is also within very easy reach of the helmsman. The Catalina 25 cockpit is large enough for crew to operate both the mainsheet and the jib sheets without interfering with the helmsman. Beneath the port bench is a very large lazarette for a boat this size. One Catalina 25 owner reports being able to easily store a 110% working jib, 135% drifter, and a 155% genoa in this locker along with his shore power cable, fenders, a throwable life preserver, and many miscellaneous items along the shelf built into the starboard side of the hull. He particularly appreciated not having to clutter up his v-berth, which he and his wife actively used, with sails as is done on many boats. The Catalina 25 lazarette can be secured with a padlock to prevent theft or a pin to prevent down flooding in a knockdown. All Catalina 25s came with a manual bilge pump, which was mounted in this lazarette so that the pump handle when installed, protrudes from the side of the left cockpit bench. Access to this pump is easy from inside the lazarette. The manual pump is not self-priming and is of little use except in emergencies. 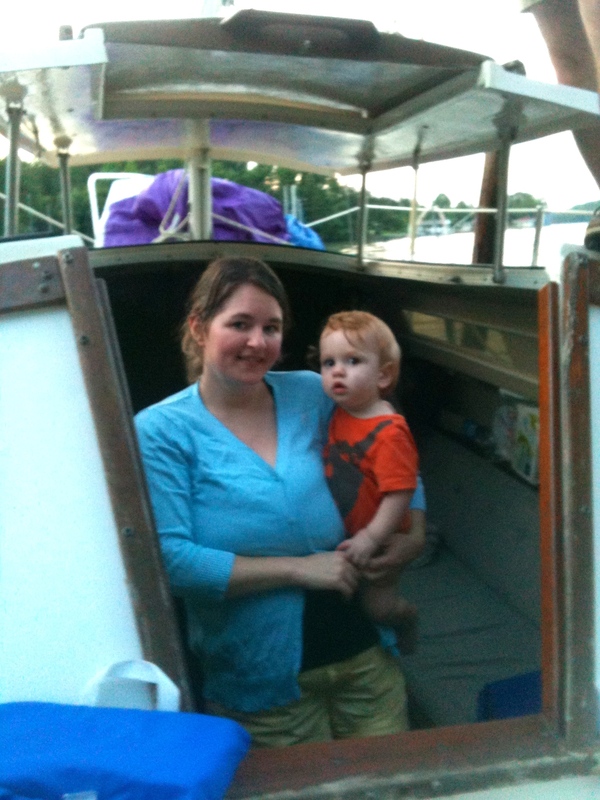 Many owners have upgraded to electric bilge pumps running in tandem with the manual. The earliest Catalina 25s had the fuel tank situated in this lazarette, but later the aft end of the lazarette was divided into a separate fuel locker which is accessible beneath an additional hatch under the aft end of the port bench. The problem with having the fuel in the lazarette as in the original design is that the lazarette drained to the bilge enabling a possible build-up of explosive fumes on boats equipped with outboard motors and lacking bilge blowers as inboard boats have. 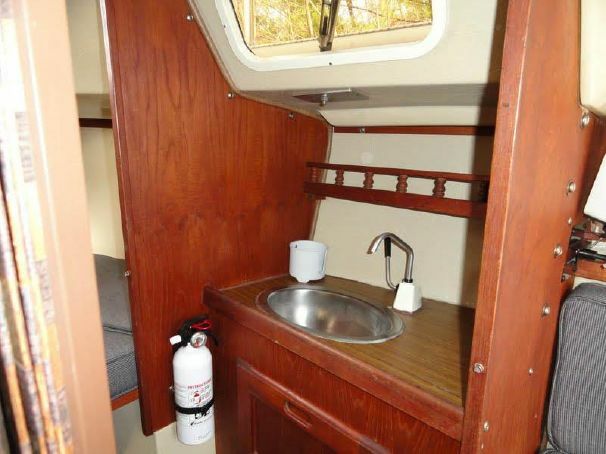 In the updated Catalina 25 design, the fuel is in a raised locker that vents to the outside and has no connection to the bilge. Beneath the aft end of the starboard bench is a storage compartment not specified by Catalina for any particular use. This compartment has a rubber gasket, and so some owners use it for dry storage while others use it for a cockpit cooler, large enough to hold ice and a 6 pack. Some Catalina 25 owners report using this compartment for live bait. Almost always, cockpit instruments are mounted in the aft cabin trunk bulkhead. Owners report replacing and installing new instruments is straightforward due to easy access. While typical and practical for boats of this size, if the cockpit is full, crew and guests can block the captain’s view of these instruments, and he or she must ask the person seated closest to them about readings. Going forward, the side decks of the Catalina 25 are necessarily narrow, but not uncomfortably so. The lifeline stanchions are at the low height of 22” typical for a boat this size, but are functional if one pulls up on the lifeline when holding on, which plants feet firmly on deck. Most Catalina 25s have handholds running the entire length of the cabin house top. The shrouds are placed directly in the middle of the side decks so that going forward requires a little navigation although owners seem to move forward with ease. Replacement life lines and stanchions specific to the Catalina 25 are available from Catalina Direct. The bow is a nice space for working with a sturdy pulpit surrounding the anchor locker. Catalina 25 owners report this is a nice rail on which to lean while hanking on jib sails in a chop. The anchor locker is large enough to hold an appropriately sized Danforth anchor and plenty of rode. The anchor locker drains overboard and can be secured with a padlock or pin. Replacement bow pulpits and stern rails specific to the Catalina 25 are available from Catalina Direct. In 1990, the Catalina 25 was discontinued and the Catalina 250 was introduced shortly thereafter. While the Catalina 250 is also a good boat, it began Catalina’s shift toward day-sailers in this size class. The Catalina 250 used water ballast with a centerboard to improve trailering ability, but a wing keel model was also offered for sailors interested in a more traditional setup. The Catalina 250 also lacked a number of the liveaboard-type cruising features of the Catalina 25, but did benefit from a better enclosed head. Catalina produced the Catalina 250 for a number of years, but later moved entirely to day-sailors for this size class of boat. Catalina 25s can be found on the used boat market typically ranging anywhere in price from $4,000 to $15,000, mostly depending upon condition, installed equipment and upgrades, and interior updates. However, derelict project boats occasionally pop-up for much less. Due to the ubiquity of the Catalina 25, it is always easy to find one for sale on Craigslist, Sailboat Listings, Sailing Texas, and other venues, and there are a plethora on Yacht World. If shopping for a Catalina 25, make sure all swing keel maintenance has been performed or be prepared to do it. Check early boats with aluminum trimmed windows for leaks, which was common but easily repairable. Check for blistering, which was a hit and miss problem on earlier boats. Otherwise, nothing is special to consider with these boats that one would not for any other boat. Special thanks to Scott Bond, Steve Milby, Frank Oliver, Dave Bristle, and Kyle Koeper for their contributions to this article. Yep thanks from me too! I’ve never heard of these things, believe it or not. Just found one in Sydney and am doing some googling… turns out they’re a great, much loved boat lol. This comprehensive article is evidence for sure. Such a nice, clean shape that really hasn’t aged. Maybe newer designs are wider in the tail but that’s about it. This experience feels like when I bought a boring old Subaru and discovered that there were heaps of web sites and forums run by people who love them. enjoyed this article. 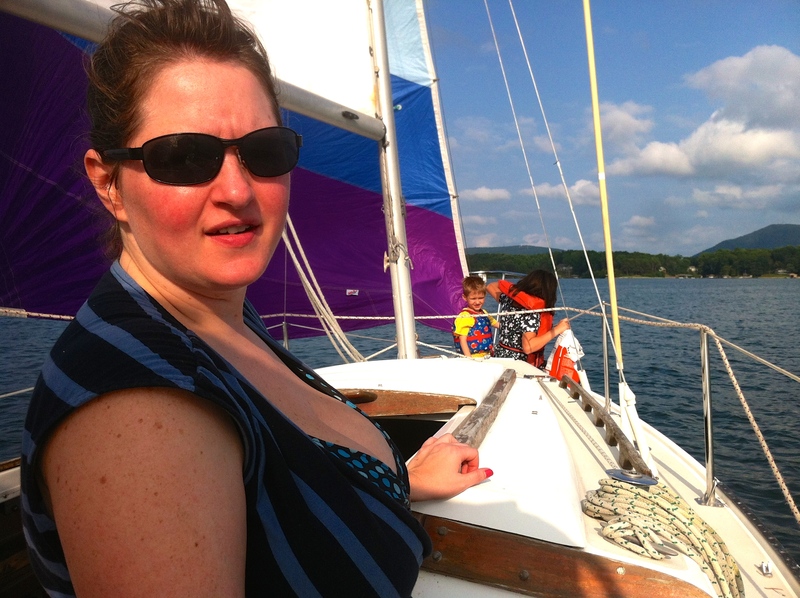 I would like to know if you can totally beach a swing keel so that the weight of the boat rest atop of the swing keel. Hello DAB and thanks. The swing keel Catalina 25 was not designed to be beached or grounded. When fully lifted, the keel remains mostly below the hull. If the boat were beached, the keel could put more stress on the fiberglass keel trunk and slot in the hull than the design could accommodate. mine is early and has leaky aluminum windows. Can you point me to resources (or the source of your info?) for easy repairs? My understanding was that gasket/window replacement was a complete pain, but maybe that was for later boats.